A country of inexhaustible energy and an incredible variety of attractions, Argentina is intoxicating. Visit the captivating city of Buenos Aires for some true Latin spirit – learn to Tango and explore the vibrant culture and café society within the colourful barrios (neighbourhoods). Visit the tomb of Eva Perón, stroll through leafy streets, wide boulevards and the up-market streets of Palermo. Stop to catch your breath in pavement cafes and watch the world go by in this stylish city. 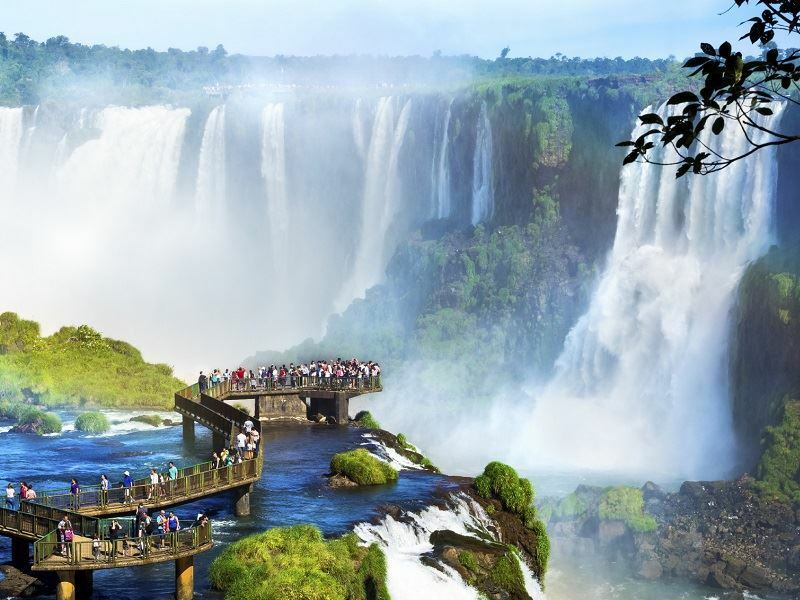 Just one of many breathtaking highlights; visit the mighty Iguazu Falls which borders both Argentina and Brazil. 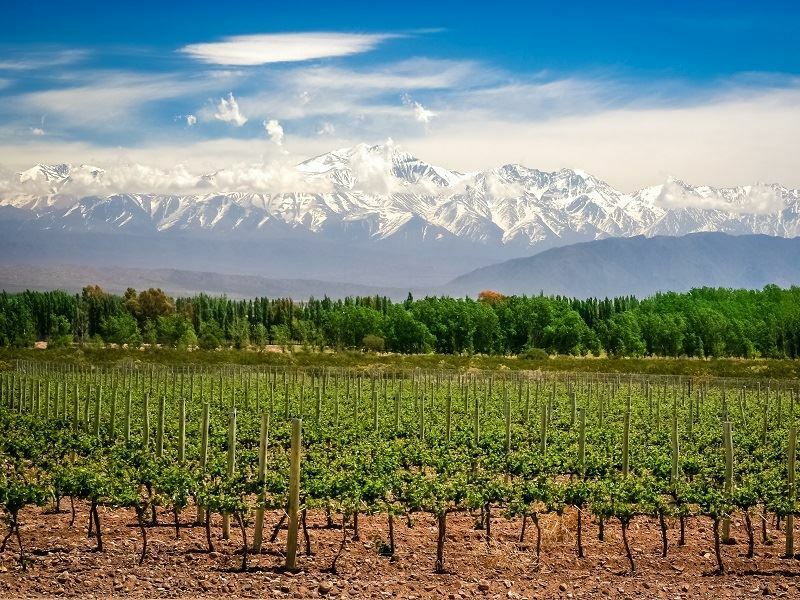 Explore the eastern foothills of the Andes, where you’ll find Mendoza, ‘land of sunshine and wine’. Sip world-renowned wine in bodegas (wineries) amongst gorgeous scenery. Spot whales, elephant seals and magellanic penguins on the coastline of Peninsula Valdes. Discover cattle ranches and take a ride out with the iconic gauchos to get an authentic taste of rural life – perfect for relaxing away from the cities and great for anyone who loves good food, wine and horses. As energetic or relaxed as you like – explore, hike, kayak and hit the road to uncover so much diverse scenery. 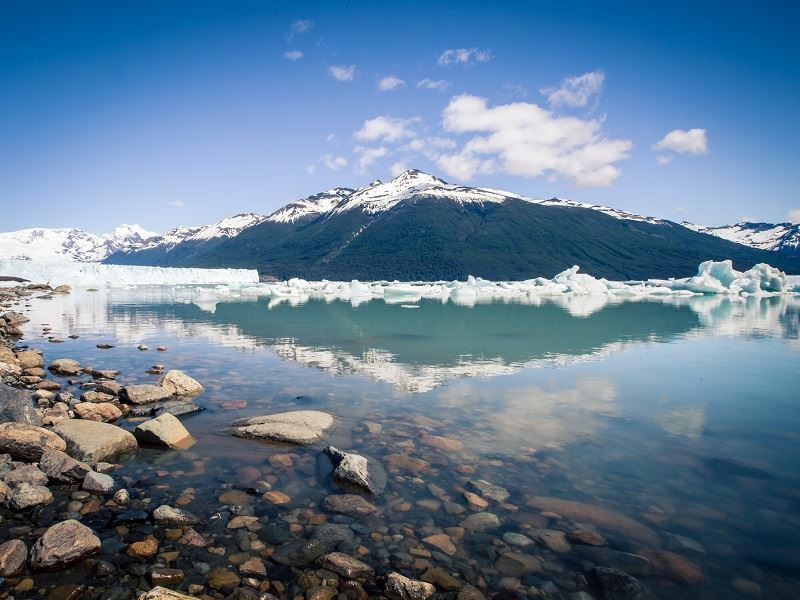 View Patagonia’s jagged peaks, the lunar landscapes and green valleys around Salta, emerald forests and glacial lakes in the Lake District and icy glaciers at Los Glaciares National Park. 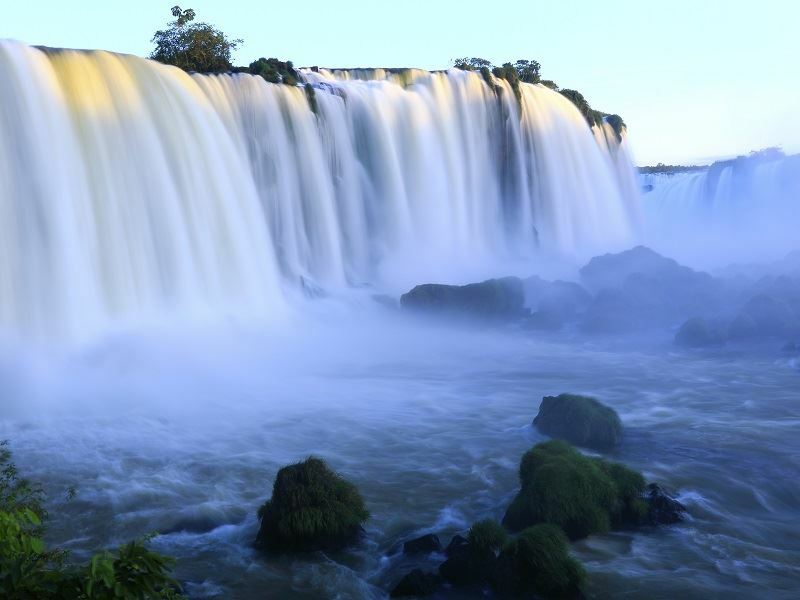 Why not venture even further and combine the exuberance of Argentina with a stay in Brazil to relax on the beaches? Our Travel Experts will help you tailor-make the perfect itinerary so you will get to see as much of this magnificent country as possible. Explore Buenos Aires during June and July and you’ll enjoy cooler temperatures of 12°C. Just add more layers if you plan to travel outside of these months. 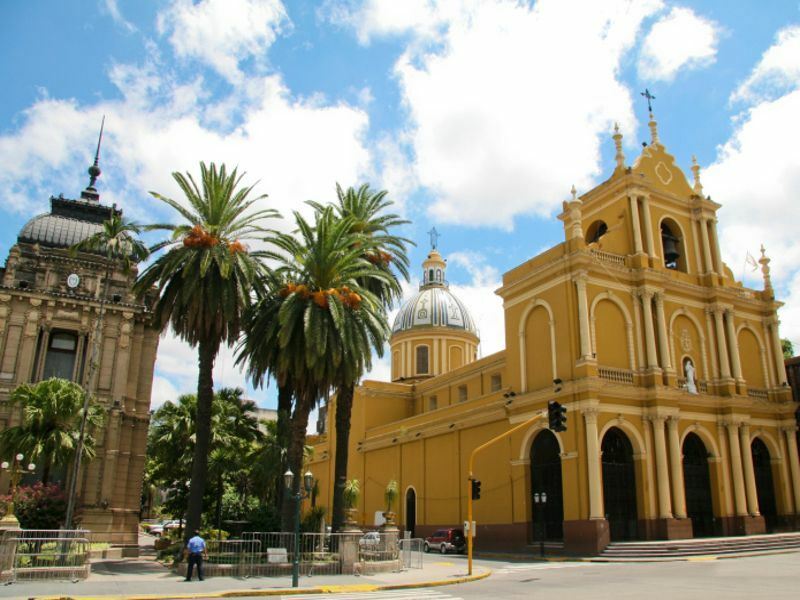 Generally, the northern parts of Argentina; Iguazu, Mendoza, the wetlands and Salta have pleasant weather all year-round. The Lake District is best enjoyed September to November, when the wildflowers are in bloom and Mendoza’s wine region is beautiful in the Autumn months. Argentina is a marvellous year-round destination, so you can travel at any time. In a country this size though, it does rather depend on where you’re visiting. Spring time in Argentina falls between September and November and the weather is generally good throughout the country. Summer is between December – February and a great time to visit Tierra del Fuego, although it can snow there at any time. If you don’t like too much heat, avoid travelling in December and January to Buenos Aires or the lowlands in the north, which as well as being hot, can experience heavy storms at this time of year. The flying time to Buenos Aires International Airport (EZE) is approximately 14 hours. There are direct flights available to Buenos Aires from London Heathrow with British Airways and from London Gatwick with Norwegian Air. There are indirect flights from other UK airports with Iberia, KLM and Air France. Self-Drive: Car hire is available in most cities and towns, if you’re over 21, and is a great option if you’re planning longer trips. Traffic regulations here are generally the same as in the U.S or Europe but be aware that the driving style in Argentina can be a little chaotic and aggressive. Bicycle: Buenos Aires runs a cycle scheme, where you can pre-register for free and use the city bikes for up to two hours a day. The Argentinian Peso (ARS) is the local currency. ATMs are readily available in the major cities and at many hotels, most with English instructions. The majority of tourist-based businesses will accept US Dollars – always carry some pesos with you just in case though. If you’d like to leave a tip for good service, then generally 10% of your bill is recommended in restaurants. You can leave porters Ten Argentine pesos and round up your fare for taxi drivers. The voltage in Argentina is 220V, 50Hz, and you will require a mixture of two and three-pin plug fittings to charge your phones, cameras and any other electrical devices. Certain vaccinations may be required depending on where you’ll be going in Argentina. Speak with your GP or travel clinic before travelling to ensure that you’re up to date with any routine vaccines that you may require. Tap water is generally safe to drink in the main cities and towns of Argentina, but you’ll need to stick to bottled water everywhere else. If bottled water isn’t available, you should boil the water for a couple of minutes before drinking, to remove any impurities. Argentina gets extremely hot, particularly in the north, so wear plenty of high factor sun cream, drink plenty of water and take some time in the shade where possible. Aside from incredible scenery and attractions, much of Argentina’s infectious appeal can be enjoyed in more epicurean ways. There are many pleasures worth pursuing when it comes to fine dining, world-class wines, music and dance. Time your holiday with one of these events to discover more of Argentina’s colourful, tasty and sultry delights. The Mendoza Wine Festival: This celebration of the grape harvest takes place each March across the province. Colourful shows are put on with, dancers in traditional costume. Join other visitors and locals alike in one of the many wineries and restaurants. Great for nightlife at any time, Mendoza is even better at this time of year. Join winegrowers and winemakers at this popular festival. Enjoy fine wines and gourmet food before dancing the night away in Mendoza. Buenos Aires Tango Festival: Two weeks of exhilarating free events take place each year in August. Watch performances by the world’s best tango dancers, view art exhibitions and learn the art of Tango for yourself milongas (dance parties). Start practising your sultry faces for this unmissable event. A great opportunity to mix with the locals and celebrate Argentina’s most famous dance. Argentine beef is world renowned and ubiquitous. There’s a great range of restaurants to be found here, particularly in the bigger cities, but seeking out the regional dishes is strongly advised – from pastries and sweet desserts to tender BBQ dishes, this is a foodie’s dream. 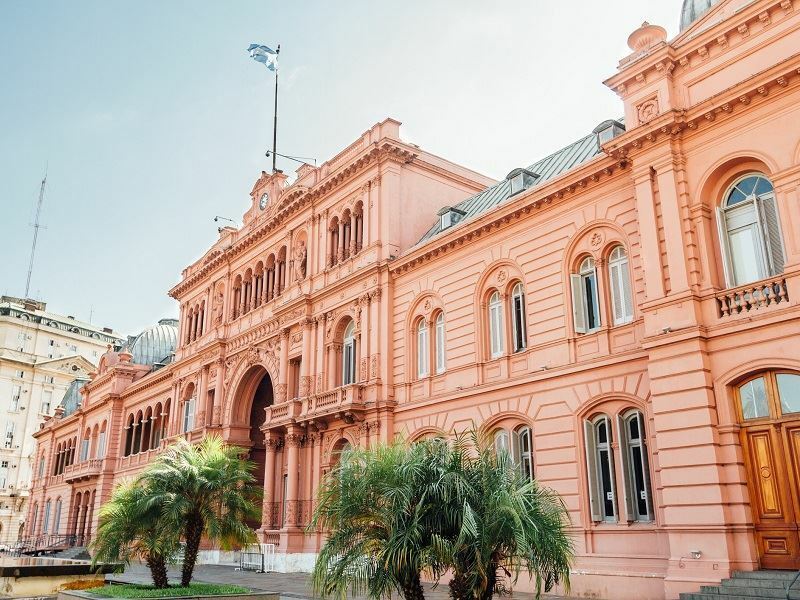 Argentina is a vibrant country and this is reflected in their love to party – Buenos Aires is particularly great for clubs and cocktail bars and in the summer, you’ll find rooftop and pool parties everywhere. Dancing is, naturally, one of the country’s most famous traditions and is still prevalent today, with many clubs in the major cities offering dance nights and live music.